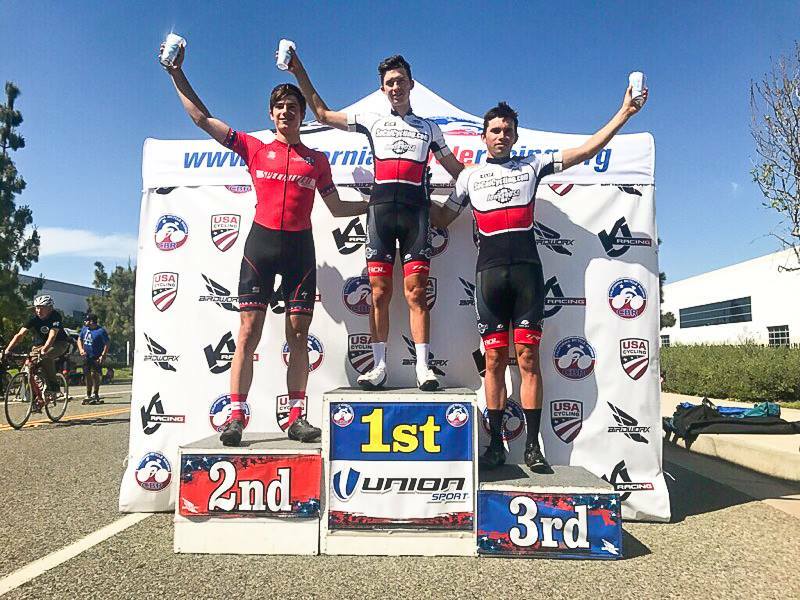 Callum Gordon (SoCalCycling.com Team) continued his winning streak at the Carson Crit after being in a breakaway where he won twelve $50 primes. SoCalCycling.com Teammate Ethan Batt was in the breakaway with Callum and finished 3rd for a spot on the podium! Thank you to SoCalCycling.com Team’s sponsors for their support in getting the Team to the finish line each week!